57 million children around the world are missing out on their right to go to school - and over a third of these children have a disability. Write a letter telling world leaders why these children need to go to school. As always you have just 100 words for your letter. Think about the best words to PERSUADE someone. After having an eventful fun filled Easter holiday to Tenerife. I met some wonderful people who gave me the inspiration for this week&apos;s prompt! This might give you the chance to practise using speech in your writing. Make sure your work makes sense. Reading it to yourself out loud can show you where you may need to tweak some punctuation. 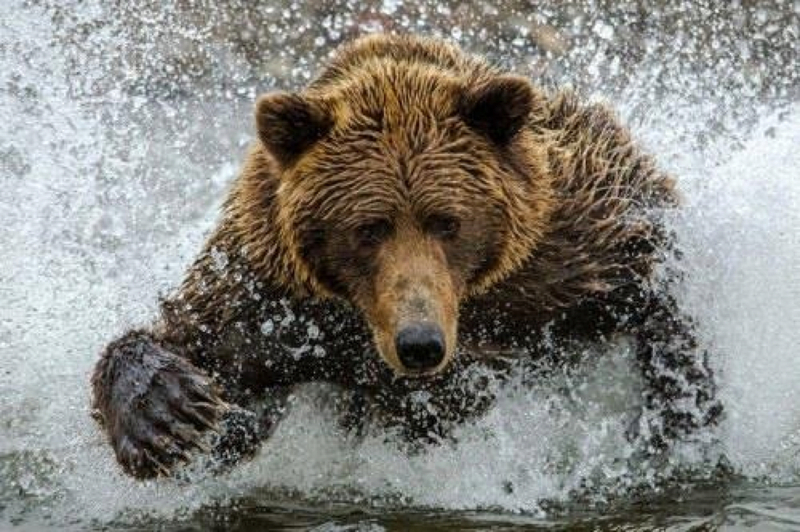 Imagine you are the bear in this photograph. Describe in 100words what is happening, remember to make your writing as descriptive and exciting as possible. Remember, you must use the prompt exactly as it is written. Make sure you really think about the words you use because you only have 107 altogether. Try and make your writing as exciting as possible thinking about any targets you have been set. Check your work through before you submit it. Your homework this week is to use the information provided and write an explanation about why polar bears are endangered. * So why are they endangered? melts earlier each spring and forms later each fall. * Without help, polar bears could disappear from U.S. shores by 2050. Please make sure you check your work through for the use of correct punctuation. Try to make it a descriptive piece that will capture the readers attention. Please check your work through and make sure it contains all the things we talk about. Please make sure you use the prompt as it is written. This means you have 107 words to use. Please check your work through before submitting it. You must use the prompt as it is written. You have 100 words to add to these making 104 altogether. Read through your work to check that it makes sense and has all the correct punctuation. Make sure you really think about your writing so that it is the very best you can share. Please check your work carefully before submitting it.